I have always been an avid reader, but the way that I choose and read books has changed a lot over the years. The other day I was thinking about how much my reading habits have changed since the internet because a regular part of my life. ...Which brings me onto the next big change in my reading habits - my Kindle! I wasn't keen on having a Kindle at first but I do love it now. 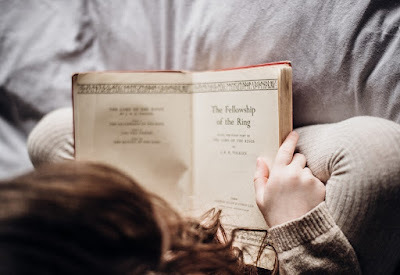 I like that all the classic books are available for free so there is always plenty to read without having to spend anything, and if you keep an eye out for the sales you can often purchase popular books very cheaply. There are also lots of free Kindle books from current authors, although you have to be careful as they are sometimes sample books or the first one in a series. I still enjoy reading physical books, especially to take out and about with me or on holiday. Amazon is brilliant for buying books, and I've recently started buying second hand books that work out much cheaper. I also like to browse through and see the recommendations, find other books by the same author, or look through the best seller lists. I still borrow books from the library too, and I love being able to use the app which lets me see which books are due back and allows me to renew online. I can also easily request books that I want to borrow. Social media is a great way to find book recommendations. A few years ago I was taking part in the Day Zero Project, and one of my items was to read 20 books recommended by others. I received a long list of books recommended by friends, and lots of them are still memorable to me today. Recently I was about to take a long haul flight, and so I turned to Twitter for some book recommendations. Twitter, I'm looking for a book recommendation to keep me entertained and occupied on an upcoming 12 hour flight. Have you read anything recently you can recommend? I like 'literary fiction', a long and detailed plot with a twist at the end and something to leave me thinking. 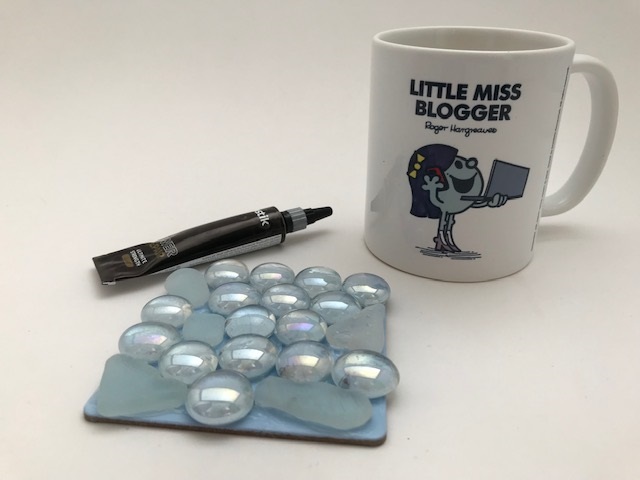 Also over on Twitter I follow lots of authors, and like to keep up to date with the books that people are chatting about. 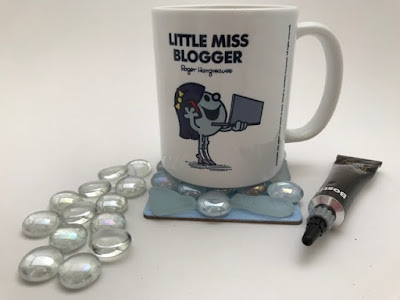 I've also enjoyed discussing my reading over on Instagram, and I love how my post about which book to read next got far more interaction than my pictures usually do! 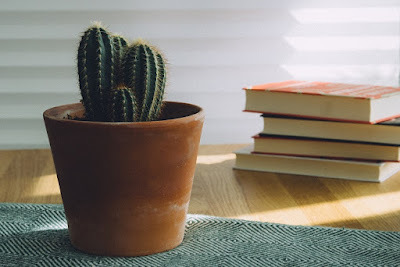 It's also great to read book recommendations from other bloggers, and I've often chosen a book to read that I've seen being talked about on social media. Sarah for example writes regularly about books that she's enjoyed and she enjoys similar books to ones that I do, so if she's written a glowing review I can be pretty sure that I'll enjoy it too. I've definitely picked up books in the library that I remember reading about in a blog. I love how the internet and social media has widened my horizons and introduced me to lots of books that I never would have discovered just by browsing library and shop shelves! While Harry has been interested in books since he was just a few weeks old, it took Mia a lot longer to become interested in reading for pleasure. 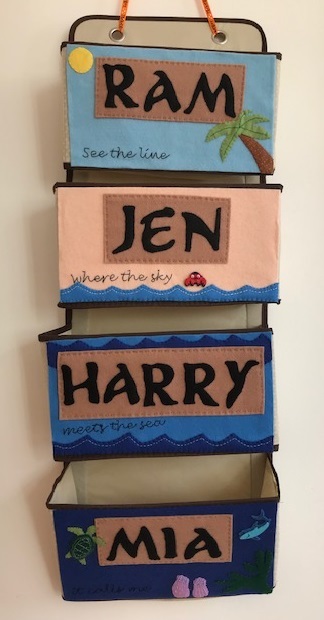 But over the last year or so I've been looking on proudly as she has blossomed into an avid reader, currently working her way through the Harry Potter books as well as picking up a few easier books on the side. I love watching my children read, and it's inspired me to make reading more of a habit for myself as well. So I thought I'd share some of the benefits I've found of having children that love to read, and I'm sure many other parents can relate to them! 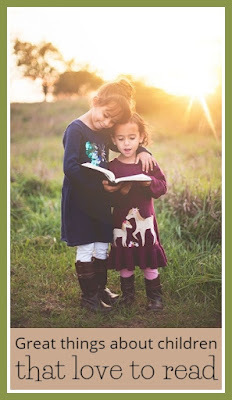 * Having a child that enjoys reading makes waiting around for things much easier - the waiting room at the doctor or the dentist, hanging around while one child is doing an activity or while waiting at the station or airport. 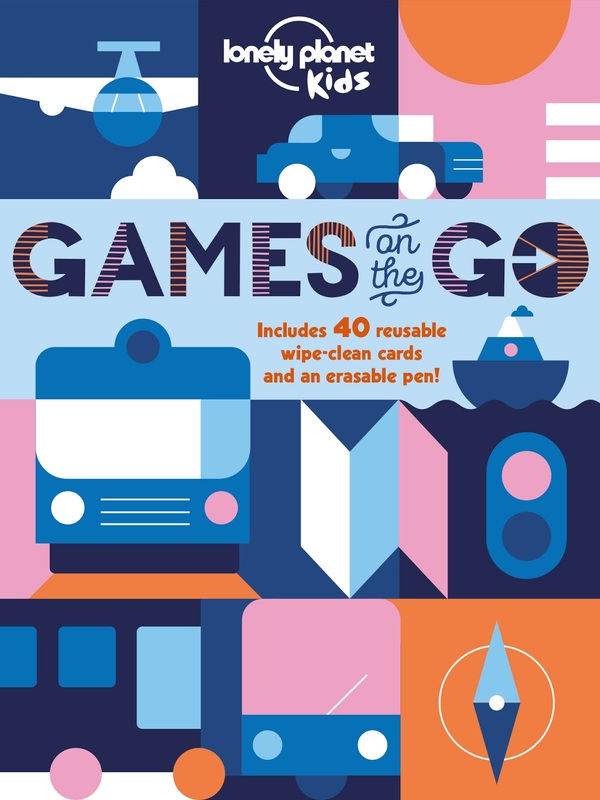 * Books make easy gift ideas for birthday and Christmas, or just as a treat or a reward. * I get more time to read myself as we can spend time reading together. 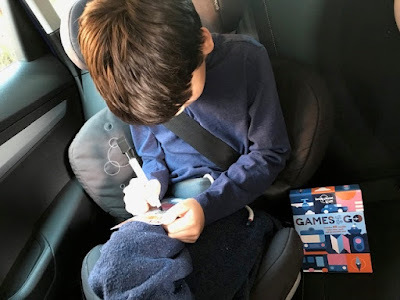 * Books inspire places to visit and means that they gain more from it - for example we had a brilliant visit to the Getty Villa in Los Angeles as there was a Percy Jackson themed audio tour - my son's current favourite series. 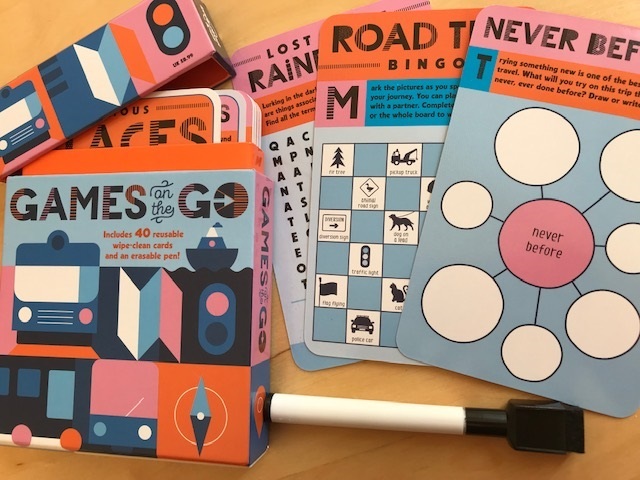 * Busy and potentially overwhelming situations, like large family gatherings, are much easier for a child to manage if they can disappear into a corner with a book. * Books are a way for children to learn about the world, not just geography and history but also about relationships with others and how the adult world works. * Reading is a great way to develop and improve vocabularly, and I love hearing children mispronounce a word and knowing that it's one they learned by reading. * Sharing the excitement of a new book released by a favourite author. * Seeing a child's creative writing style developing and seeing how it's influenced by what they've read whether that's the storyline or language used. * Reading is a great way to learn more about subjects that a child is interested in. * I love it when my child tells me a fact about something that I don't know which they've learned from a book. * Reading opens the mind to different perspectives and different ways of seeing the world. I love watching my children's faces when they are completely absorbed in a book, the giggles that escape when they read something funny and the concentration as they reach a tricky part. I'm so glad that they've both turned out to be total bookworms! Title image credit Ben White via Unsplash. This is a sponsored post in association with Bostik. This month I am using Bostik Power Repair Ultimate Strength glue in my crafting. This glue is an ultra strong clear glue which provides a long lasting bond for just about anything, including glass, wood, stone, metal, leather, rubber, plastics, ceramic and more. 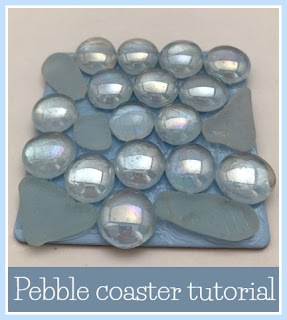 I used it to make a sea themed coaster for my desk, using glass pebbles and some scraps of sea glass. First prepare your coaster with a coat of paint. I upcycled an old coaster that I had already, so I first painted the coaster with some white paint to cover up the existing image, then finished with a layer of pale blue to add to the seaside theme of my coaster. If your coaster already has a darker image on it then you may need several coats to cover it evenly. 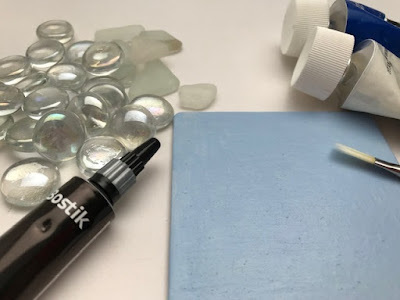 When the glue has dried you can prepare your glass pebbles and sea glass. 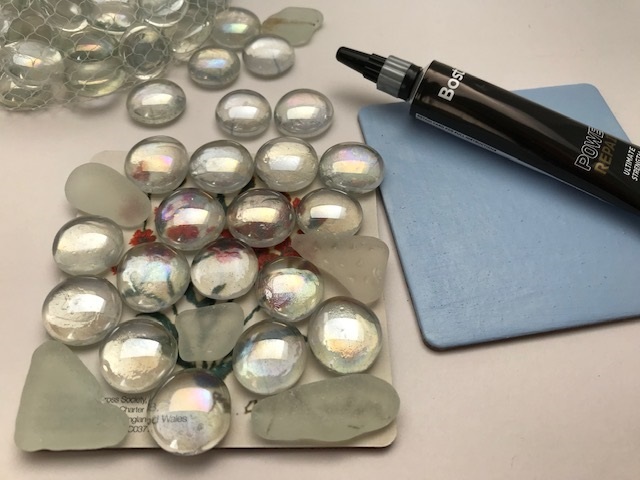 Try and choose pieces of sea glass that are the same height as the pebbles so that the coaster will have an even surface. If the sea glass pieces are flatter than the pebbles you may need to add some cardboard or similar to the bottom to bring them up to the same height. If you can't find sea glass you could also use flat stones or sea shells. I used a spare coaster to plan out my design so that I would be able to work quicker once the glue was applied. 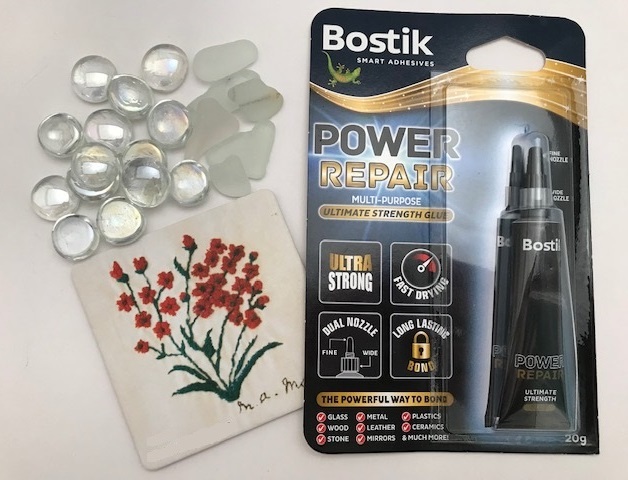 The Bostik Power Repair Glue has two nozzles, one fine and one wide. For this project I used the wider nozzle which allows you to spread the glue over a larger area. I coated the painted surface of the coaster with a layer of glue, trying to keep the glue application smooth. 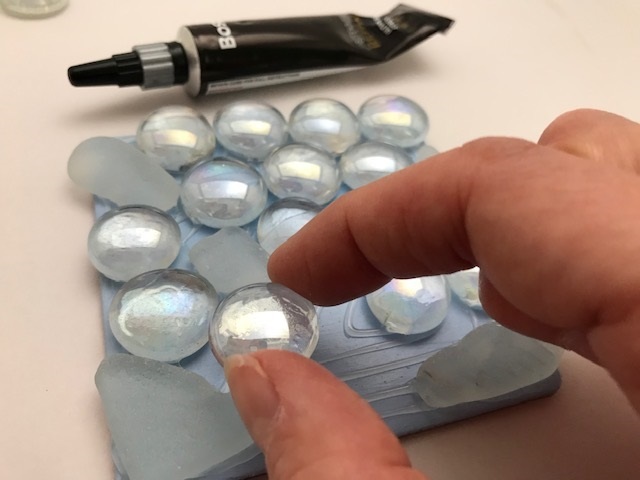 Then I pressed the sea glass and pebbles down into the glue. 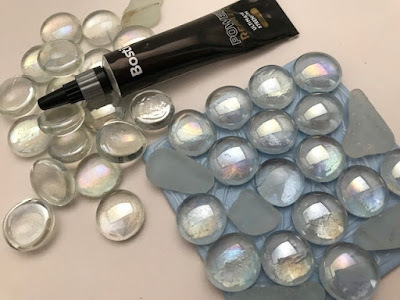 You are able to reposition the items for up to three minutes, and then the glue will be fully set within two hours, so this gives you time to arrange the pebbles and sea glass the way that you want them. The glue will be fully dried after 24 hours, so it's best to wait until then before you use the coaster for the first time. 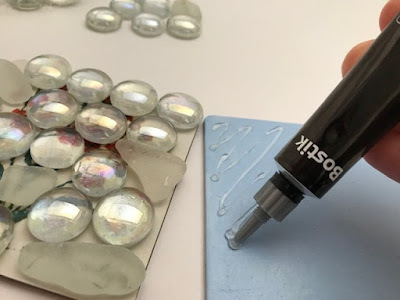 You could also use this technique to decorate other items, for example a tin can to make a pencil holder, or a picture or mirror frame. Now I have a little piece of the seaside to keep me company while I enjoy a cuppa at my desk! I was sent this jigsaw in exchange for a review. 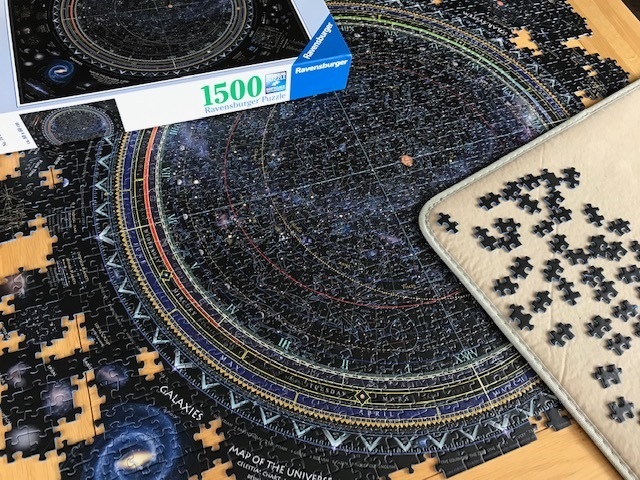 When I was received the Ravensburger Map of the Universe (affiliate link) jigsaw puzzle to review I was a little daunted. 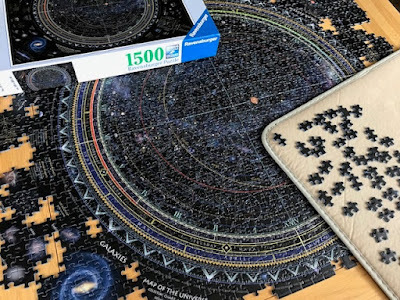 It has 1500 pieces, which is the largest jigsaw I've ever attempted, and I could tell by looking at the picture that it was going to be a tricky one. 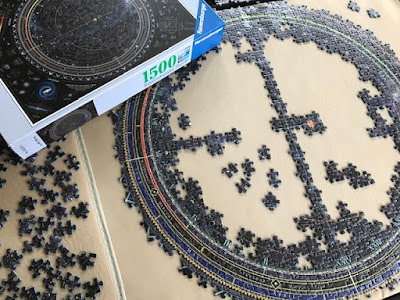 There's lots of black and large areas of the jigsaw look very similar to each other. But I'm so glad that I gave it a go, and it wasn't nearly as difficult as I was expecting! I approached the puzzle by sorting all the pieces into trays. Usually I begin a jigsaw by doing the edge, but because this puzzle was too large for my puzzle board I started with the circular centre section, which I calculated would just fit onto my jigsaw board. I made piles for edge pieces, the circular rings, the stars in the middle and the informative diagrams around the edges. Then I made a start on the centre. It was pretty easy to put together the coloured rings, and although the centre star map was challenging there was enough variety in the design that it wasn't boring. 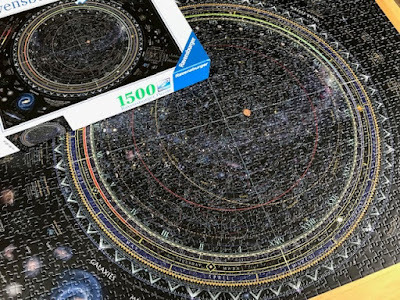 The picture on the box can't do the detailed image justice - there's much more to see on the actual jigsaw. When the centre circular section was complete I transferred it (very carefully) to our dining table so that I could add in the outer sections. Some of the pieces were easy to place and others were more challenging, but by looking carefully at the image on the box and sorting the pieces by shape I was able to put the jigsaw together without too much trouble. There was a definite sense of achievement when this puzzle was finished, and it looks most impressive! It's definitely a puzzle that you want to leave out for a few days once finished so that you can admire it and pick out all the details in the image. 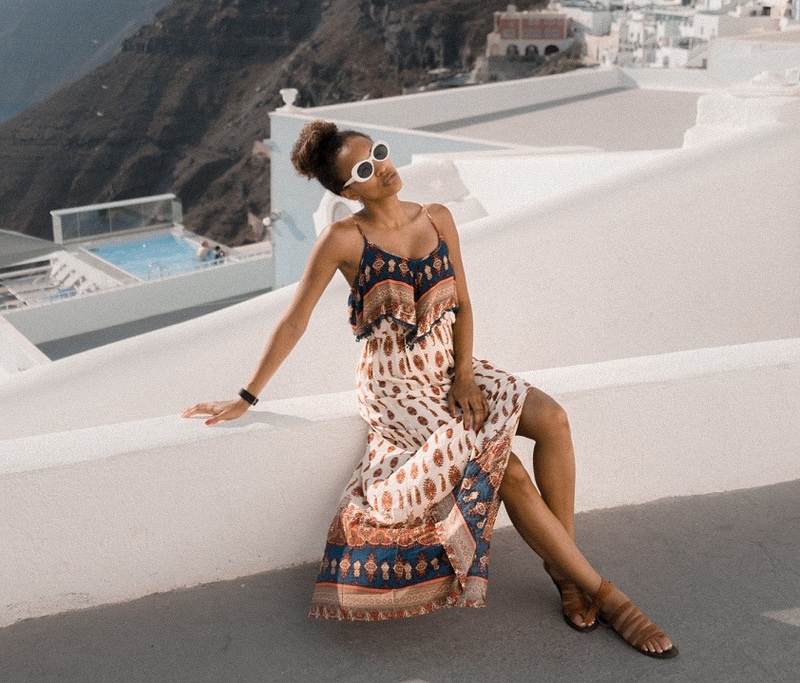 Last week my husband and I were lucky enough to spend a few days in Rio de Janeiro without the children. He won a prestigious award at work and this was his reward - luckily my parents were able to look after the children for us, as it was an opportunity that was far too good to miss! The organisers covered three full days of events and activities, and because of the way the flights worked we had a day before and a day after to ourselves. It was an amazing trip, and I'm so glad that I was able to go. On our first day we booked a tour of one of the favelas, or slums, using this company - Favela Walking Tour. 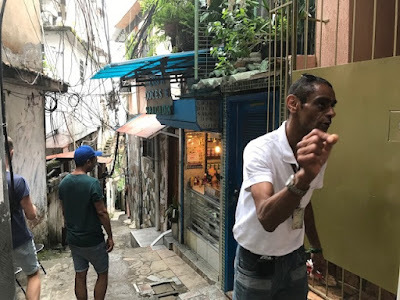 Ram was very keen to do this tour but I wasn't so sure, there are many warnings for tourists to stay out of the favela areas, and I didn't want to be gawping at the people that live there. But in the end the tour wasn't what I expected at all, and I'm really glad that we did it. Our guide for the tour was Carlos, who has featured in several documentaries, and is a resident of the Rocinha favela where the tour takes place. 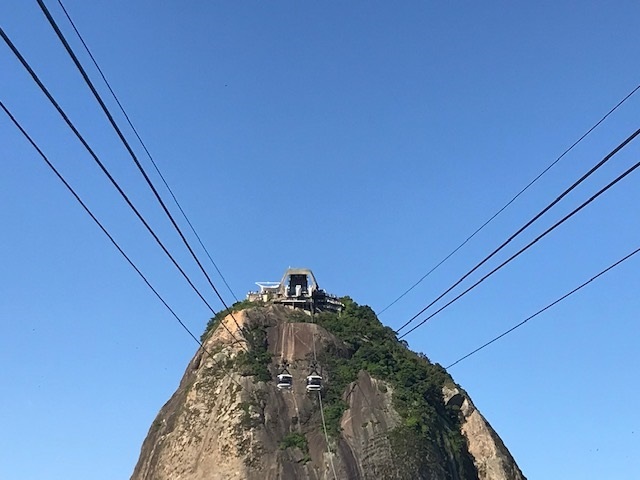 He very much wants people to see the other side of Rio de Janeiro, and it's a very immersive tour. 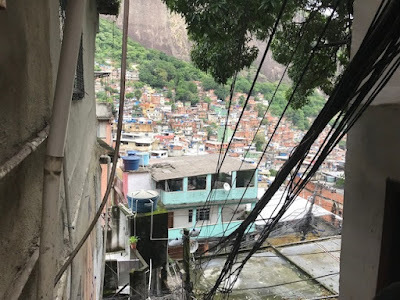 We were taken in a bus to the top and then we walked down through the favela, stopping along the way for him to explain the history of the favela, how they run, and the politics behind them. Walking through the favela felt completely safe, and very different to how it is described in the tourist literature. There are wide roads running through it with buses and taxis, and there are many businesses, both for residents and tourists. There are shops, banks and bars, everywhere seemed to have electricity, water and was fairly sanitary. We would definitely have felt safe there without the tour, although we wouldn't have strayed far from the main streets as it's very easy to get lost with all the narrow streets! There was a great sense of community, and although you obviously do stand out as a tourist we were greeted by lots of people and we never felt unsafe. The next day we went on a trip to the Christ the Redeemer statue which stands on the peak of the Corcovado mountain and overlooks the city. 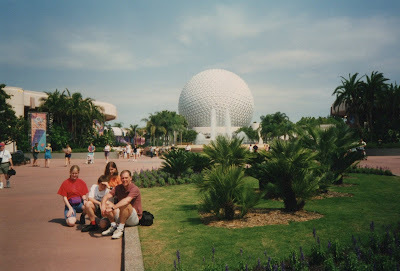 As you can see from the grey sky in the background it wasn't the best day to visit - seconds after this photo was taken the statue disappeared behind the clouds! So we weren't able to enjoy many views of the scenery as we were mainly looking down through the clouds, but it was still amazing to be so close to the statue which you can see from all around the city. In the evening we went to an organised carnival party. This took place at Samba City, which is an area set aside for building and preparing floats for the Rio carnival. 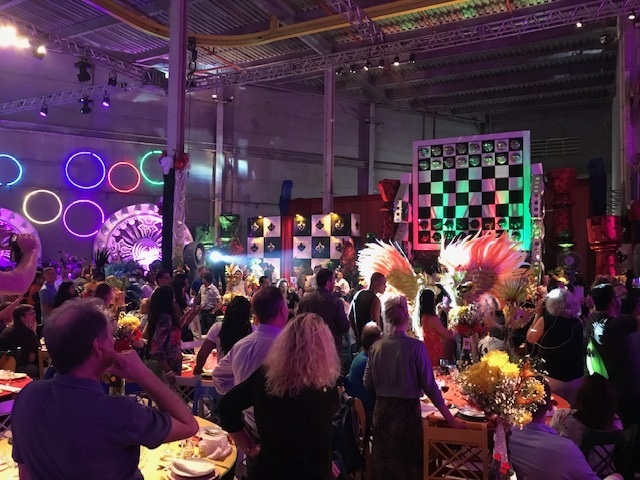 We had our faces painted with glitter, a buffet dinner, and then a full on carnival party with music and dancing - it was amazing! The following day we took a cruise around Guanabara Bay before a ride on the cable cars up Sugarloaf Mountain. Fortunately the weather was much better and so we were able to enjoy the amazing views from the cable car and the top of the mountain. 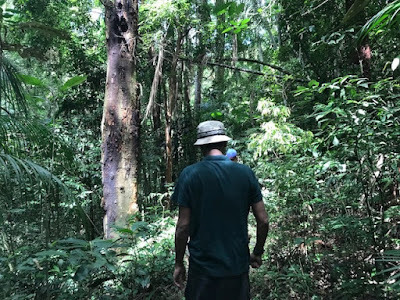 Finally, on our last day we booked our own jeep tour to the Tijuca Forest through our hotel. 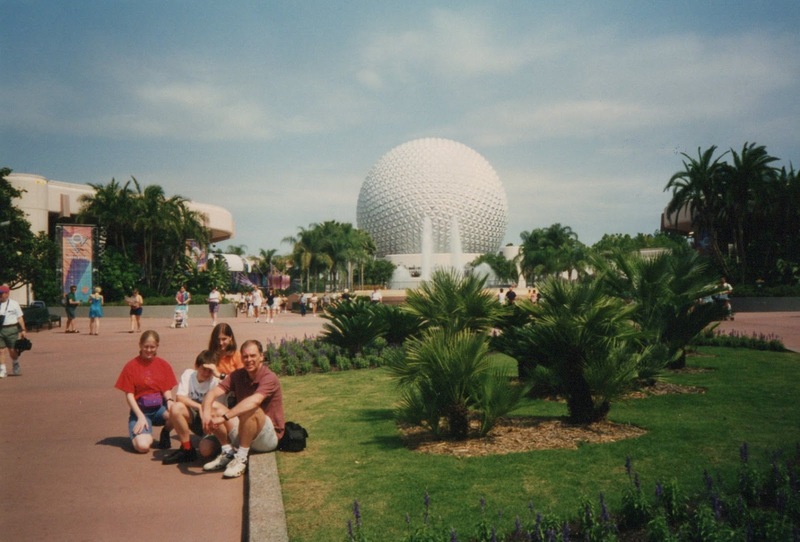 We chose a shorter driving tour, but you can also take a longer tour which includes more of a hike. 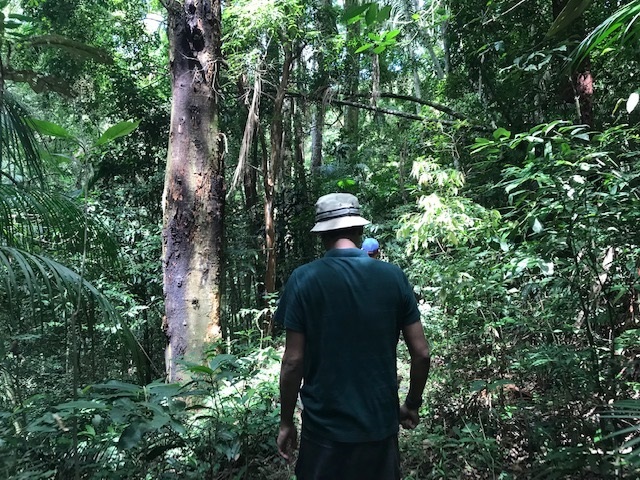 The jeep picked us up from our hotel with a guide and drove us into the Tijuca Forest - a tropical rainforest right in the city. 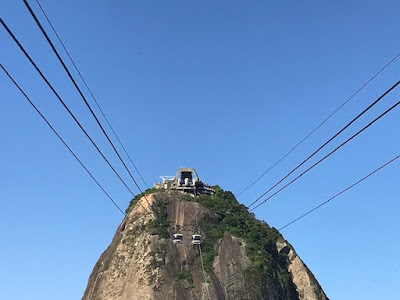 Our tour took us to the Chinese View, where you can see both the Christ the Redeemer statue and Sugarloaf Mountain at the same time, then we went deeper into the forest. After stopping at a waterfall we went for a short walk along a forest trail. We were lucky enough to see a little marmoset monkey and lots of coatis - little racoon like animals with a pointy nose and sharp teeth! It was a really fantastic few days and I'd definitely recommend Rio de Janeiro as a place to visit either with or without children. 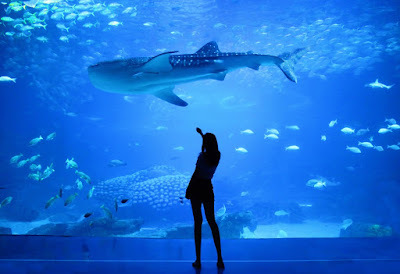 In fact the whole time we were there we were thinking about how much the children would enjoy it, with a good mix of beach and pools as well as lots of interesting sights to see. It would be amazing to visit during the carnival as well!